Wake up, get Brandon ready for school, make breakfast, wash dishes, get Brandon to the bus stop, come home clean off table, put away everything from breakfast, take Quinn to school, do grocery shopping, put away the groceries, clean living room, leave to get Quinn from school, make lunch finishing clean the rest of the house, start laundry, get Brandon from bus stop, do homework, start dinner, fold clothing, finish dinner, put away clothing, do dishes, clean kitchen back up, get the boys in the tub, read bed time story get everyone to bed. Take a deep breath!! LOL this is my day. Somewhere in there I find time to blog, fuss with my pups and take care of myself. 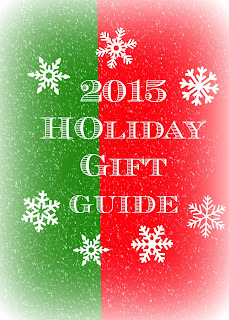 During the holidays I also have to add shopping, baking, holiday events and visiting family. Needless to say it is hectic. 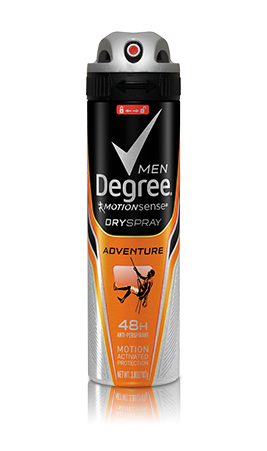 I need an Antiperspirant that can keep up. 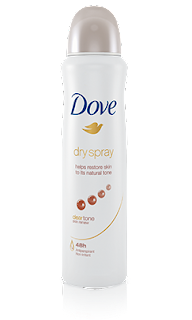 Unilever is offering several dry sprays this holiday season. I have never used a dry spray before, this was my first time and I am pretty impressed! It goes on instantly dry and is so easy to use. Simply shake the can open and spray on. I was able to try a few I want to talk a bit about each. 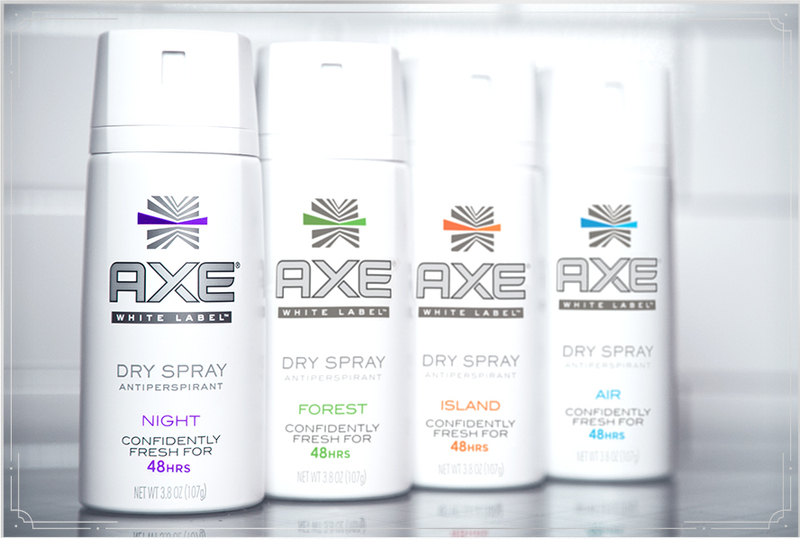 Night is only one of several scents and just like all of Axe's other products it offers a nice musky scent. All you have to do is shake, twist and spray. So simple to use and it really does dry right away. I asked my hubby if it left a wet feeling behind and he said no. SO you don't have to worry about awkward wet spots on your shirt. After an 8 hour work day he was still dry! For the women's line I was able to review Clear Tone and for the men I was able to review Clean comfort. Again these are only 2 of many scents and there is something for everyone's personal preference. After a few days of use I noticed they are very long lasting. The bottle says 48 hour protection. Now I spray some on every day so I can't say for sure if that is true. But I have a feeling it is. 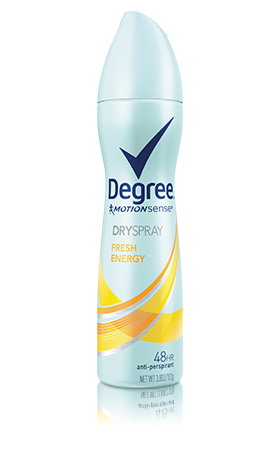 I spray it on in the morning and still feel fresh at night. My hubby claims his underarms feel smoother and less itchy :). 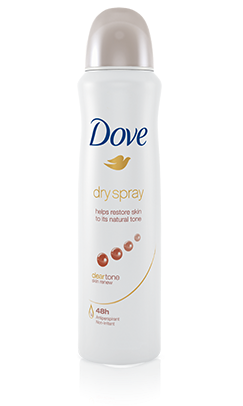 I know in the past Dove has been knows for its moistening qualities and it seems the Dry Spray lives up to that reputation. 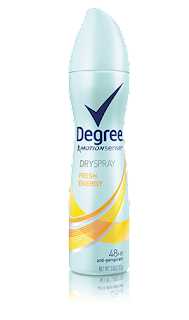 Unilever doesn't stop there they also offer their all new dry spray in Degree men and women. 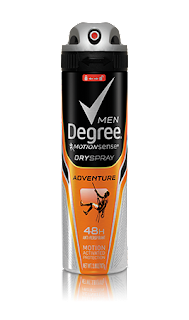 Again it is offered in several scents, offers 48 hour protection, is easy to use and works great. It goes on dry for a cleaner feel. I am yet to have any wet stains or white stains on my shirt after use. I would suggest spraying in a well ventilated area. The spray does tend to go in all directions. I am on the go non stop during the holidays. I don't always have time to stop and reapply antiperspirant. 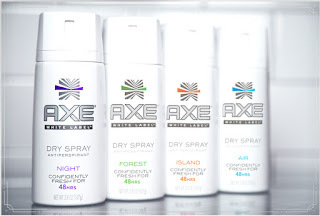 I need something that can keep up with me and keep me smelling fresh from morning to night.